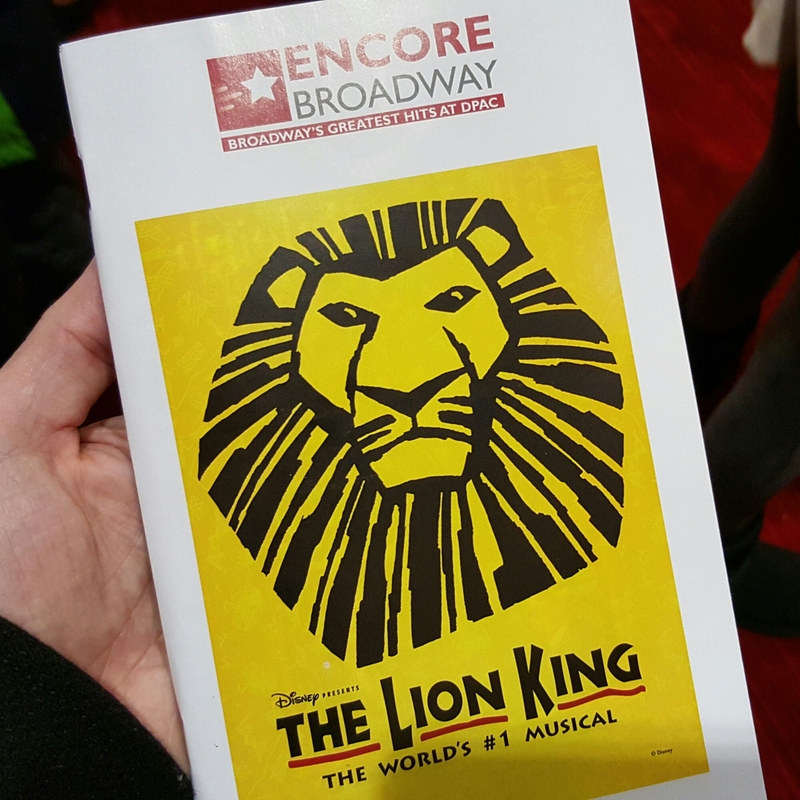 Don’t miss your chance to see Disney’s The Lion King musical going on now through March 20th at the Durham Performing Arts Center. I recently attended a performance and was simply blown away. Like most my age I saw the animated feature-length film back when it was released by Disney in 1994. Going in to the musical I was thinking that maybe it would be geared more towards children, but I quickly discovered that this is a magical performance that both adults and children alike can relate to and truly enjoy. As I’m sure you know, the story is a coming of age parable set among animals indigenous to its setting, the African savanna and tells the tale of Simba, the lion cub who rises to be the King of the jungle. Since all of the characters are animals, transforming the story from the animated big screen to live action is no small task but the production succeeds on every front. Each of the characters is brought to life through the use of amazing costumes, masks, and puppets. What’s truly amazing about this performance is that the actors that wear the animal masks and control the puppets are fully seen. As an audience member you simply begin to see the human and the animal as one magical whole. After just a few moments into the performance I found myself doing this naturally as the magic on stage fuels your imagination as the performance unfolds before you. The opening scene you will be leave you on the edge of your seat and tickled with goosebumps as you witness the majestic procession of animals including zebras, hippos, antelopes, birds and giraffes as they make their way up the theater aisles and across the stage to witness the presentation ceremony of Simba atop Pride Rock. Throughout the night I was constantly amazed at the ingenuity in which the animal characters and action sequences were brought to life using different techniques. Ranging from the use of shadow puppetry for hunting scenes to the use of rollers and a canvas scroll to create the illusion of thousands of stampeding Wildebeests in a particularly dramatic action sequence. The eye-catching set design and special effects of the Pridelands and the Outlands are equally outstanding and truly something to behold. My wife enjoyed how the grassland was portrayed by actors dancing about with tufts of tall grass resting upon their heads. My favorite was a scene where Mufasa appears as ghostly image in the night sky in the form of a floating celestial head which presents itself to Simba in a time of need to speak words of wisdom after he has lost his way. The theme of each scene is reinforced with the great score and songs from the movie along with a few fun additions. I particularly enjoyed seeing musicians playing the bongos and other instruments to add sound effects in certain scenes. Much like seeing the performers wearing masks, witnessing the bongo players didn’t distract from the performance, rather it added to it by making the experience even more engaging. The performances by the actors were also endearing. Even though he is the villain, Patrick R. Brown is wonderful as the sarcastic “Scar” as he plots his way to overthrow his brother, the powerful and benevolent “Mufasa”, played by Gerald Ramsey and prevent “Simba”, played by Aaron Nelson, from taking his rightful place as leader of the Pridelands. Of course there is also plenty of Comic relief provided by Pumbaa and Timon, the flatulent warthog and his meerkat friend played by Ben Lipitz and Nick Cordileone respectively. The hyena henchman for Scar were also crowd pleasers providing some hearty laughs with their antics. Each of the actors added something special to the character they played. They were true to the original while adding a piece of their own soul to the animal spirit they were portraying. None of them were anything short of mesmerizing. Now that I have finally seen the The Lion King musical I am left wondering why I waited so long. It truly was a magical performance that I will long remember. Do try and catch it before it’s run finishes at DPAC later this month. 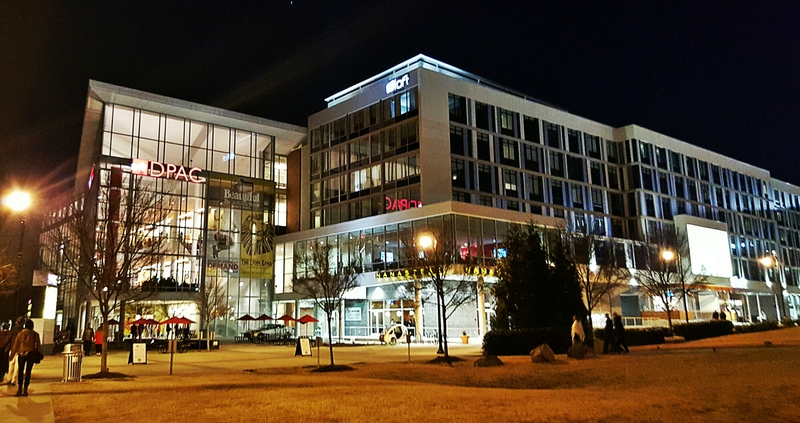 The Durham Performing Arts Center presents Disney’s THE LION KING March 8-10, 8 p.m. March 11, 2 and 8 p.m. March 12, 1 and 6:30 p.m. March 13, 7:30 p.m. March 15-17, 8 p.m. March 18, 2 and 8 p.m. March 19, and 1 and 6:30 p.m. March 20 at 123 Vivian St., Durham, North Carolina 27701, in the American Tobacco Historic District. TICKETS: $33-$109. Click here for DPAC Special Offers.